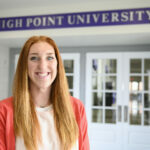 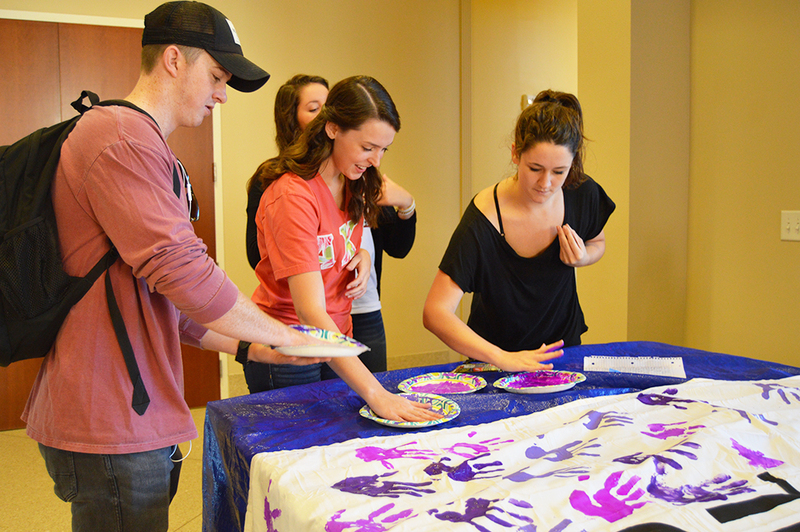 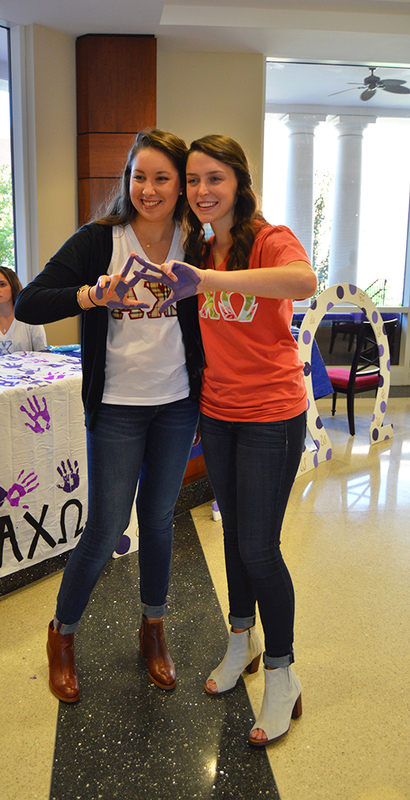 HIGH POINT, N.C., Oct. 20, 2016 – High Point University’s Alpha Chi Omega sorority raised awareness and took a stand against domestic violence during their These Hands Don’t Hurt event. 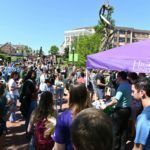 From morning until noon, students came to the R.G. 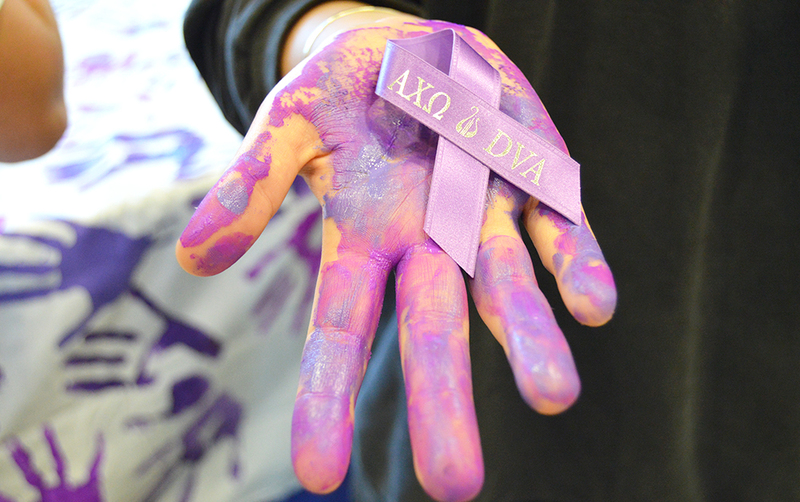 Wanek Center and left with purple hands. 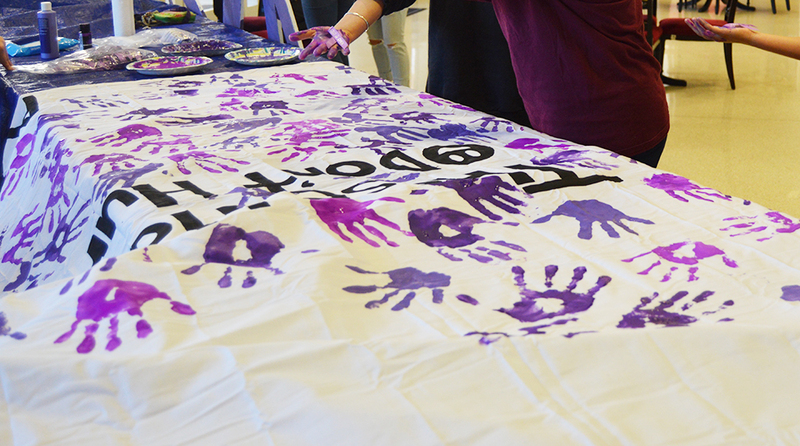 Participants took a pledge against domestic violence and demonstrated their support by dipping their hands in purple paint and leaving handprints on a banner. 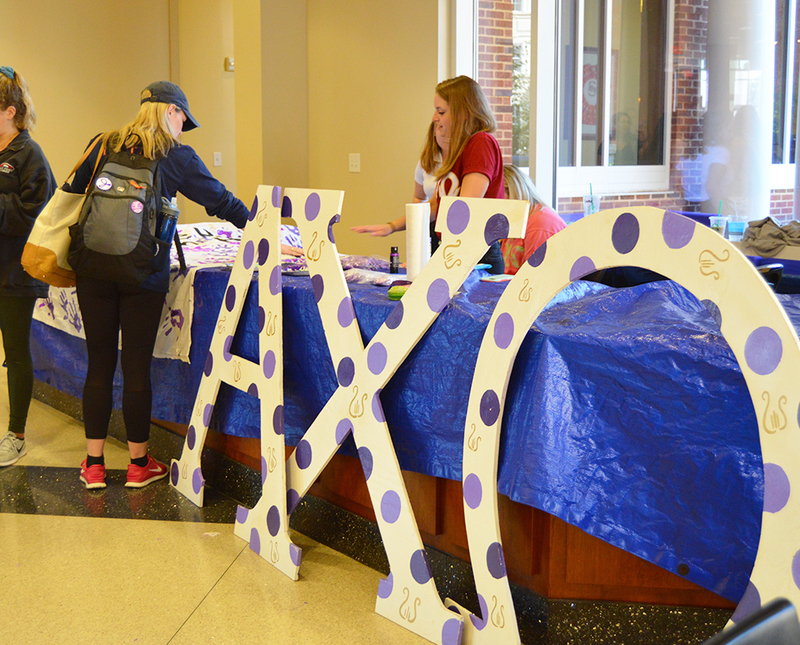 Domestic Violence awareness is the national philanthropy of AXO. 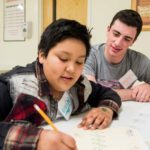 The organization works year-round to fight against unhealthy relationships and build healthy relationships. 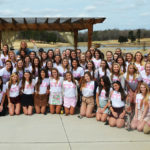 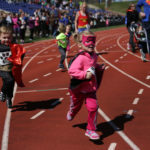 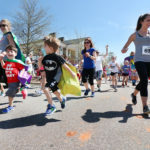 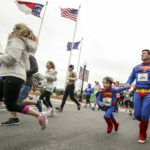 They also work to educate members, giving them tools to build their own healthy relationships, and educate others on domestic violence and the work being done to end it.